When your earphone or microphone port is damaged, the first thing you usually do is you remove the sound card and replace it with another. But what if you don’t have the luxury of time or the budget to make a replacement? The best and most practical option you have is to purchase an external sound card that could be connected to the USB port. It’s not just convenient, but it’s also practical considering the ease of installation and the cost needed for making the new system work on your computer. While there are tons of choices available for your next USB sound card purchase, only a few make the cut for being the best. Here are five of the best USB sound cards in 2019, varying by brand, by size, by the capabilities they have, and the benefits they offer. The Sabrent AU-MMSA 2.1 may be your kind of external sound card if you’re looking for something small, while still meeting the objective of having a new set of microphone and earphone jacks. With the device being plug-and-play, and is compatible across operating systems, the installation is very straightforward. There are no buttons to press nor nothing to toggle as the sound card is designed to work along with your computer, as if nothing new was installed. Being lightweight at 0.32 ounces, with dimensions of 1.5 x 0.4 x 0.9 inches, you won’t notice the AU-MMSA as much; in the positive light. Though the 3D sound is noted as “decent”, it works more than okay, especially for those who need a fast and inexpensive solution for their sound card problems. If you’re not content with your computer’s audio quality and you wanted an upgrade without spending too much, then the BENGOO External Sound Card Adapter should work well. Because the sound card operates apart from the sound card already existing within the computer, BENGOO provides audio quality that’s not just loud, but also of excellent quality. 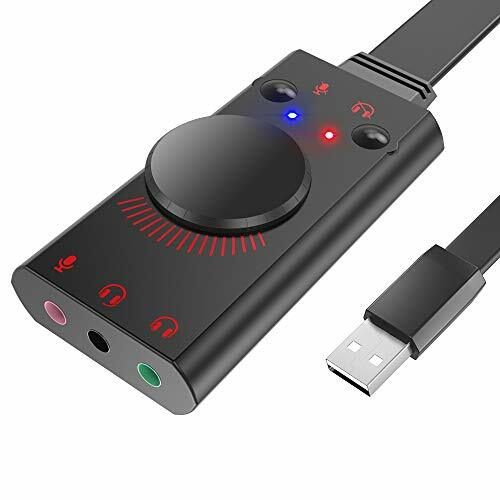 In fact, the Mixer Function included with the adapter gives you the capability of adjusting the electronic output of your audio for a more personalized listening experience. So, whether you’re into immersive gaming or you’re an audiophile that’s looking for high fidelity output, this device would not disappoint you. The external sound card has jacks for the microphone and earphone pair, as well as the single input-output jack for more modern headsets. A volume wheel is also available for your disposal for additional “umph” that can’t be provided by your default sound card. There’s also a microphone/headphone mute button for flexibility when switching modes on plugged devices. The BENGOO external sound card is designed to work across Windows, Mac, and Linux operating systems, across all versions. 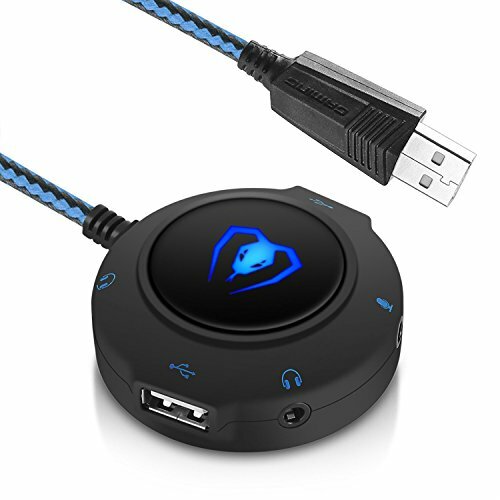 In addition, it also supports different devices from the conventional 3.5mm jack, to headsets, microphones, and even to gaming consoles, and tablet laptops. Designed for the audio junkies, due to the different ports and jacks that can be accommodated by the device, StarTech.com’s USB Audio Adapter External Sound Card meets various audio needs. In case you need your computer to be capable of playing home-theater systems, the 7.1 jacks are ready for connection. So, it’s not just about connecting conventional 3.5mm jacks for earphone functions. As for the microphone, there are two jacks that can support both mono and stereo input. And if that’s not enough, there’s also an additional jack for line-in, plus input and output optical S/PDIF for a clearer audio experience. Aside from the jacks and connectors, there are also buttons that lets you control volume, as well as mute functions for the volume and the microphone. The external sound card is an excellent gadget for enhancing the audio that’s already being provided by your existing internal sound card. 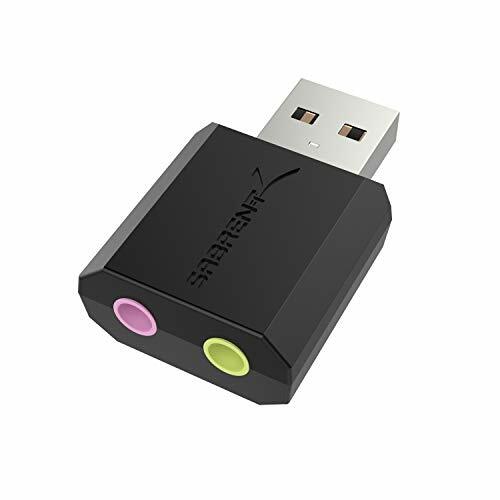 Its USB 2.0, capable of transferring data at up to 480Mbps, assuring you that you won’t experience crackling, chopping, or delayed audio, no matter the intensity or quality. Though this has been designed to meet various audio connection needs, the USB Audio Adapter External Sound Card can only be used on Windows operating systems. 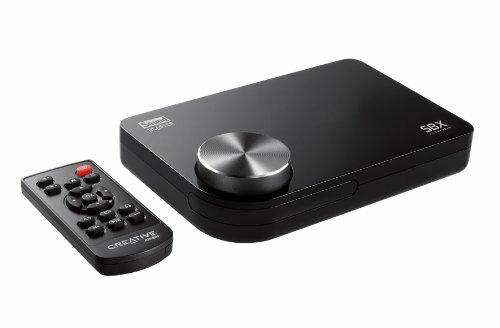 Creative’s Sound Blaster is known for quality that usually exceeds expectations, which is also prevalent with its X-Fi Surround 5.1 Pro that promises superior audio quality no matter the functionality. Thanks to its gold-plated RCA connectors, you could expect excellent-fidelity sound that’s pleasant to the ears, as well as to connected devices. With the SBX Pro Studio available, you’ll be able to experience immersive audio that’s suitable for high-intensity gaming. Coupled with intelligence that caters to your listening preference, and an audio fidelity that supports up to 24 bits/96kHz, the Upmix and Virtualizer technologies implemented by the X-Fi gives its listeners a realistic surround sound encounter. And because the device is connected to the computer via its USB port, there’s no additional power supply needed for operation. For additional convenience, the X-Fi Surround has a remote control, as well as a volume control knob, so that you could configure volume whether you’re near or far from the device. Aside from the mic, line-in, and earphone jacks located on the right side of the external sound card, there are also additional jacks in the rear – including the left and right audio, rear, c/sub, and the optical out. There’s also support for the Dolby Digital Live that can connect to home-theater systems or decoders with one cable. What makes the Micolindun GM-280 External Sound Card different from everything in this list is the support for 2 headphones that’s usually not common for most sound cards. And because it has its own audio chip, you could connect your 3.5mm audio jacks, microphones, speakers, and other sound systems with ease. And even more amazing, the hub also has additional 2 USB ports for anything you need to connect, such as wireless keyboard or wireless mouse dongles, USB disks, and more. With its plug-and-play technology, there’s no need to download drivers, whether you’re using a Windows or Mac operating system. For quality regardless of the cost, Creative’s Sound Blaster X-Fi Surround 5.1 Pro would definitely be an excellent choice due to its connectors, along with the technology that heightens the audio experience beyond anything that’s commonly offered in the market. As for the economic standpoint, BENGOO’s External Sound Card Adapter is a better option that the simple Sabrent AU-MMSA as it has additional buttons and a better sound chip that presents a clearer and more flexible audio output customization. 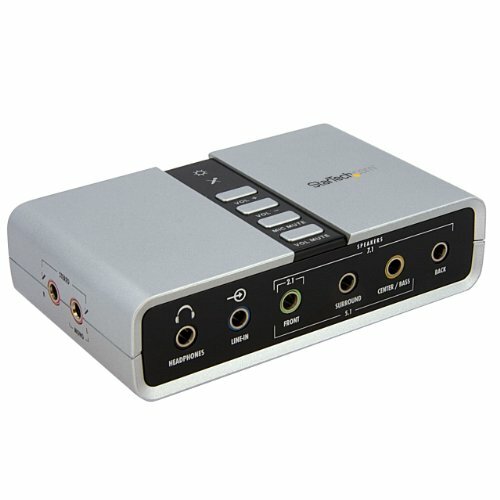 And if you’re into setting up your computer to be an audio hub, StarTech.com’s 7.1 sound card is the best for anything you need to connect.